Since our inception in the year 1989, we have been engaged in manufacturing, exporting and supplying an excellent grade Brass Diamond Knurl Double Groove. The offered groove is manufactured by our adept professionals using top notch quality brass at modern production unit. This groove can be bought at budget friendly rates in various specification. 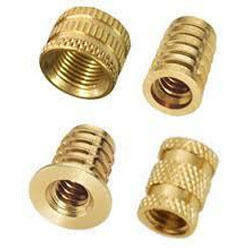 the provided Brass Diamond Knurl Double Groove is used for connecting of cables, wires etc. Brass is wear and spark resistant. Brass is Low friction and non-magnetic alloy. Nowadays Dezincification resistant brasses (DZR) are used in various applications. Flexibility: Variety of brass Grades can be made for various applications. Zinc plating, Nickel plating, Chrome plating, Polishing, Sand blasting, Anodizing. High quality export standard packing provided in form of Wood case, Carton, Wooden Pallets and as per requirements of customer. Delivery Time: In given time. We are a prominent firms in this domain, betrothed in manufacturing, exporting and supplying top grade Brass Collar Head. This head is manufactured by our adept professionals with the aid of pioneering techniques using high grade brass. The offered head is used for tightening purpose in machines. 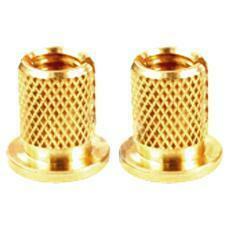 In addition, the provided Brass Collar Head can be bought from us in various sizes at pocket friendly rates. Â (DZR) are used in various applications. 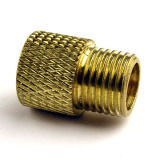 Established in the year 1989, we have been engaged in manufacturing, exporting and supplying a wide range of Brass Diamond Knurling Inserts Singles Groove. This kurling is manufactured under the observation of our deft professionals using quality examined brass. The offered knurling is used in press pattern on material. In addition, clients can purchase the provided Brass Diamond Knurling Inserts Singles Groove from us at cost effective rates.